For a beach wedding, couples may consider Shutters on the Beach, which features a house-style resort or the Royal Palms beach. Despite the availability of various wedding reception sites in Los Angeles, many people think they prefer beach weddings. 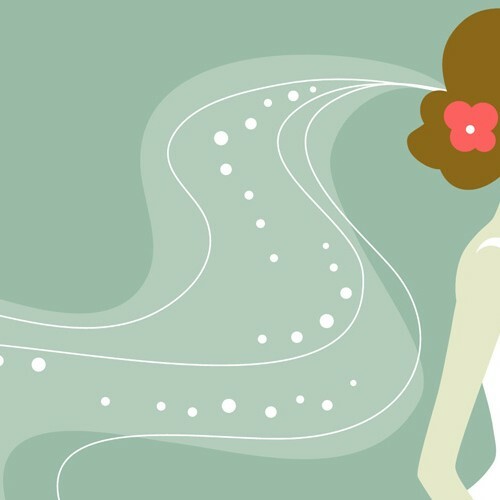 True, the advantage of a beach wedding is that it can be cheaper than traditional weddings. Attire is usually casual, which guests often prefer. Beach weddings are convenient in that both the reception and the wedding ceremony can be held at the same venue, eliminating the need to travel. And beach weddings don’t require much advance planning since it is not always necessary to have a permit. On the flipside though, the mood of beach weddings can be unpredictable due to erratic weather conditions. What’s more, the beach is usually windy and this may interfere with the celebration. One needs to deal with the seagulls on the beach as they can be a menace, thieving food at your celebration. Opting for the beach as a wedding reception site in Los Angeles can also be uncomfortable as the chairs may sink if one does not use flooring. The scorching sun and bugs are also likely to make your guests uncomfortable if you do not take precautions. The beach rules may also force you to ignore some of the things you would wish to include in your wedding ceremony such as a barbeque or playing music late into the night. 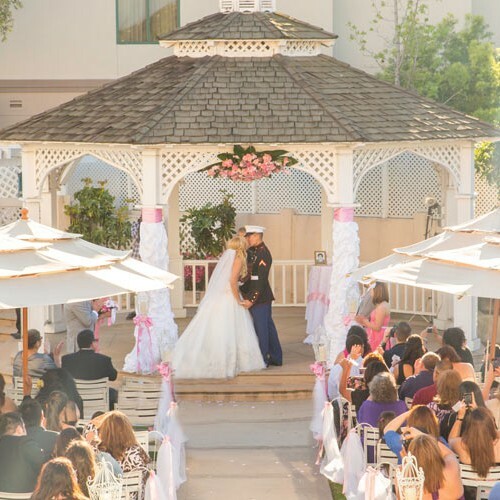 Almansor Court – a banquet facility with a dedicated lakeside gazebo for the wedding ceremony. Intercontinental – has an English garden setting with a Carriage house, lawn area, and courtyard that could be used as the dancing floor. 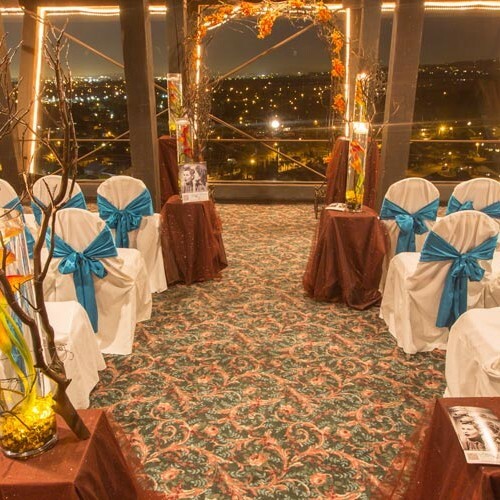 The Enhanced Manor – offers a variety of settings and elements for an intimate reception. Monterey Concessions – a clubhouse with several locations to choose from. With all the options available to them, most people agree that when choosing among wedding reception sites in Los Angeles, banquet facilities and garden weddings are the best choice. This is because they are cost effective and the couple can spend within their means. More to the point, it saves expenses on decorations because the natural ambience sets a relaxed mood. Banquet facilities always have a director of catering or site coordinator on hand to help you every step of the way. What is more, these sites are easily accessible, convenient and make it planning your ceremony a pleasurable process.